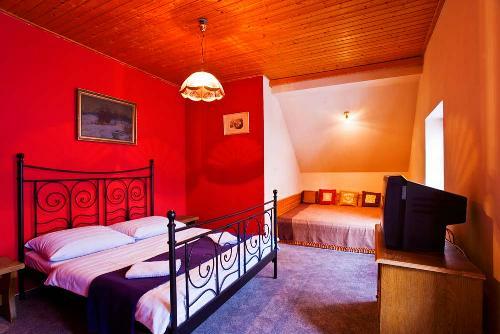 Our pension offers charming and luxurious accommodation. Comfort, services and a great location are all part of the value proposition offered to our guests. 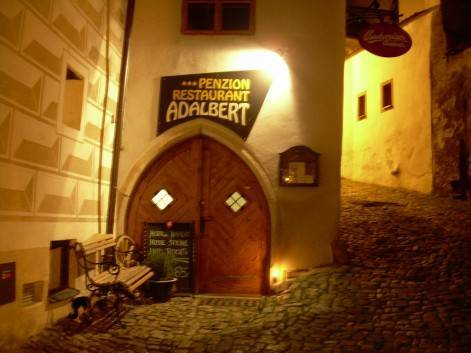 Pension Adalbert is situated in the historical centre of Ceský Krumlov. The house has 4 luxury bedrooms all en-suite and one appartment with kitchen. Free wi/fi in all rooms. Prices are per room incl. all taxes and breakfast. We keep the room for you on the arrival day till 18:00. If you arrive later than 18:00, pls let us know. CANCELLATION : If cancelled up to 2 days before the date of arrival, no fee will be charged. If cancelled later or in case of no-show, the first night will be charged. 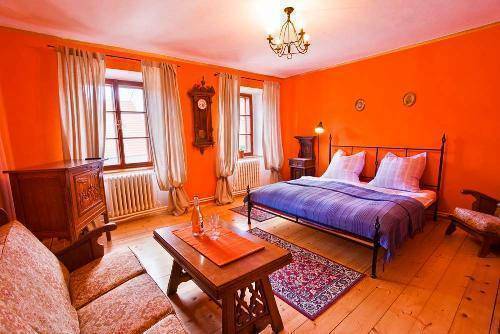 The Ceský Krumlov Region is a paradise for tourists of all ages, satisfying everyone with its superb selection of activities. It is predestined to be a centre for tourists and cyclists on international routes due to its position on the border of three international regions - Bohemia, Austria, and Bavaria. Many people enjoy canoeing on the Vltava river and water sports on the Lipno lake. There many possibilities for sports even in winter.